Announcement Sustainable, handmade gifts and crafts. 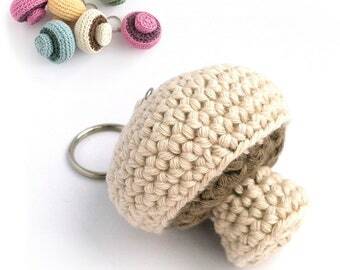 Create something special with my crochet patterns and kits, or choose something specially made by me for you. Sustainable, handmade gifts and crafts. 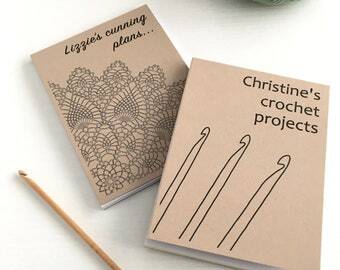 Create something special with my crochet patterns and kits, or choose something specially made by me for you. Well-written instructions make this a fun and easy project. I've made three so far - changed one to a Shelduck duckling! Super cute! I am absolutely delighted with my gold pear ornaments. They are so well made. Many thanks. 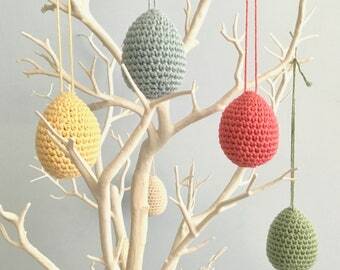 These are exceptionally well made, beautiful and delicate and light enough to hang on a twig tree as a table decoration for Easter lunch. I highly recommend this seller. Organic cotton seahorses in progress this afternoon. I’m sewing the tails on lots of bunnies this morning! Using up some fabric scraps to crochet a rag rug - I love practical projects! 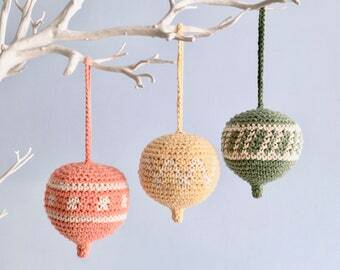 Hand-crocheted gifts and ornaments in sustainable materials. 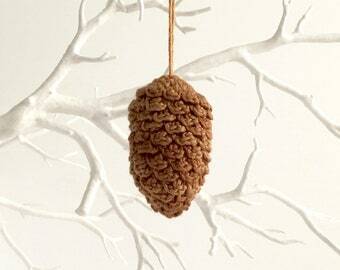 Crocheted gifts and ornaments in sustainable materials. I've always had the urge to create - often because my family needs something that I can make more cheaply, more sustainably or with more love than it could be bought in a big store. Most often it's something useful, sometimes it's something unaccountably frivolous, but the drive to create just the right thing is always there. I know that's how creativity is for many people, often fitted into the slivers of time that you can find between all the other "must dos" in your life. You know that making something yourself, or choosing handmade, means it can be exactly what you need, look exactly how you want and can give you untold pleasure day after day. 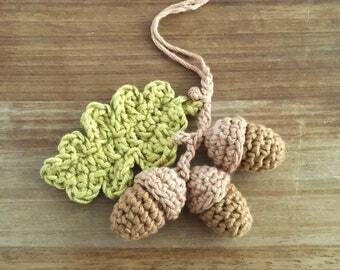 Little Conkers exists to help you get the most from your time and pennies, whether that's giving you the means to make something for yourself, or choosing a handmade item - for yourself or as a gift - as another way of spreading the joy of creativity. My sewing and crochet patterns are specifically designed with the time-strapped and frugal in mind, requiring no superfluous equipment and including practical suggestions on how to up-cycle materials wherever possible. Little Conkers is still evolving, but I'm loving this journey that takes me to new friends and customers all around the world every day. Hi, I'm Clare. I'm a homemaker for my three children, I try to support my local community and live lightly on the planet. In my sparest of time, I create and help others to create. A friendly, family run business, specialising in services for artists, illustrators and photographers. Supporters of The Woodland Trust project, they print my designs on top quality 100% recycled cardstock. A family-owned and run printing company, with a commitment to mitigating their environmental impact, they print my colouring books on top quality 100% recycled paper. Welcome to Little Conkers where I strive to give you the maximum possible reward for your money, time and creative effort. This includes being as fair and clear as possible with every customer in respect of shipping, returns and so on. For your protection, your interactions with Little Conkers are governed by the Consumer Contracts (Information, Cancellation and Additional Charges) Regulations 2013, the Sale of Goods Act, the Data Protection Act 1998 and the EU General Data Protection Regulation and the applicable UK and EU Laws. When you (as a buyer) enter into a contract with Little Conkers, you are assumed to have read and accepted the terms and conditions below, and to have agreed not to require them on paper. If you wish to return something, you must get in touch with me within 14 days of receiving it. You can do this using the Returns & Refunds Form on my website here: www.littleconkers.co.uk/Little_Conkers/contact-little-conkers or just contact me with the relevant information. I will process your refund (of the purchase price plus my standard postage and packaging cost) within 14 days of receiving the returned items, provided they are returned in resellable condition. If you paid for an upgraded delivery service, this will not be refunded in full - I will only refund the amount of my standard postage and packaging service. A deduction will be made from the refund if the value of the item(s) has been reduced as the result of excessive handling, carelessness or any other reason. In returning items, you will need to pay for the return postage yourself. I strongly advise that you obtain a certificate of posting (at a minimum) from your Post Office or courier, as if the item is lost in transit you will need to be able to claim for compensation. If you are returning items to me from outside the United Kingdom, you must mark the package prominently as "Returned Goods". If you don't do this, I will unfortunately have to deduct any customs fees/tax/brokerage charges from the amount I can refund you. Digital items cannot be returned. Via PayPal you are able to pay with your credit or debit card. Please be assured that when you click to add something to your basket, you will always be shown the full cost including postage and packing costs before you commit to buy, and you can always remove it from your basket if you so wish. You have the right to cancel an order at any time from the moment you place the order until 14 days from the day you receive your goods. This 14 day period is the time you have to decide you wish to cancel and get in touch with me. Once you have got in touch about cancelling an order, you then have a further 14 days in which to return the goods if they have been dispatched. The Consumer Contracts Regulations does not give you the right to cancel an order for personalized, customized and tailor-made items, but please contact me anyway if you have any issues at all, and we'll work it out together. Specific provisions exist in the Consumer Contracts Regulations for digital content. If you are ordering a digital item, by agreeing to these terms and conditions you are giving your express consent for me to supply you with your digital item within the 14-day cancellation period. (If you did not consent to this, I would have to wait 14 days before providing you with the digital item, to allow you your right to cancel). You are further acknowledging that once I have e-mailed you a digital item, or you have started to download a file, you loose your right to cancel the order. If you do not consent to this, please do not place an order. There is no shipping or handling fee for digital files, the price on the listing page is all you will pay. Most of my digital items are available for immediate download from Etsy. In some cases (dictated by the size or number of files) this is not possible, and I will e-mail the file(s) to the e-mail address on your Etsy account (not your PayPal account) as soon as possible. Please allow for time differences when waiting for your files! I attempt to post ready-to-ship physical items as soon as is humanly possible and always within three working days. Made-to-order items each have the time it will take to make given in the listing. Often it will take less time and I will confirm the estimated dispatch date on an individual basis when you place an order. I often use recycled paper, envelopes, etc, to post my items. This is not only of benefit to the environment, but it helps me keep my post & packing costs as low as possible for my customers. 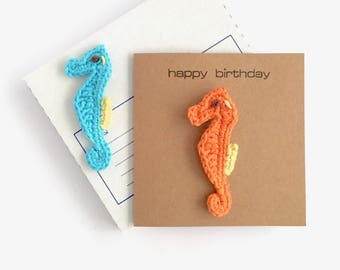 I post to the address on your Etsy account (not your PayPal address). If you're ordering something for a gift and would like it posted to a different address, that's fine too, just let me know! Items to the UK will be sent by Second Class post, which the Royal Mail aims to deliver in 2-3 working days, but this is not guaranteed. The option to upgrade to a First Class "Signed For" service is offered on some listings, which the Royal Mail aims to deliver the next working day, but this is not guaranteed. Items to the rest of the world will be sent by International Standard (formerly known as Airmail) for which the Royal Mail quotes a delivery aim of 3 to 7 days after posting, but this is not a guaranteed service. An item is not considered 'lost' until 25 days after posting to some locations. Throughout my shop, my postage costs closely follow Royal Mail's charges for the given size and weight of packet - I do not make a profit on post & packing. If something does not reach you within a reasonable time frame (according to the Post Office's definition for a particular postal service), please do get in touch with me, and we will work out together how best to proceed (replacement, refund, etc). I always obtain a certificate of posting, as if unfortunately something did get lost in the post this would allow me to claim compensation from the Post Office. In the United Kingdom, the Royal Mail will sometimes leave parcels with your neighbours unless you have specifically opted out of this, or in a safe place that you have agreed with them. Similar arrangements may take place with postal services in countries outside the United Kingdom. This is something you need to arrange with your postal service and is not within my control. When you buy from me, you are responsible for any customs fees/taxes you are charged, so please be aware of your country’s import regulations. I'm afraid I cannot be held responsible for items damaged by customs officials (although this hasn't happened yet!). 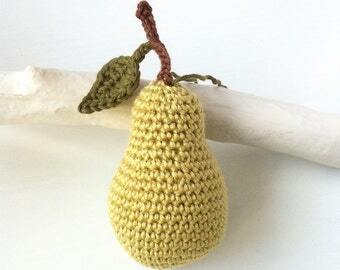 By buying from Little Conkers you are deemed to have read and agreed to these terms and conditions, including the fact you may only use my patterns for your individual, personal use unless you have my explicit permission. You may not copy, reproduce, sell or distribute all or any part of any of my patterns by any means, on or offline - they are for your (the purchaser's) use only. You may not sell items made from my patterns without prior agreement from me granting you a Commercial Use Licence. If you are considering this, please ask me in advance for a copy of my Commercial Use Licence and we can discuss your needs and arrangements. The way your data are used by any organization is governed by the Data Protection Act 1998 and the EU General Data Protection Regulation. This privacy notice sets out how Little Conkers handles your personal data in accordance with these laws. Firstly, you need to know who is the data controller and data protection officer for Little Conkers. 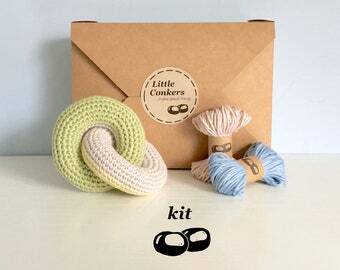 Little Conkers is a one-woman business, so that would be me, Clare Trowbridge. You can contact me at any time to ask to see what data I hold about you, or about any other data protection issue. b)	I need the data to comply with a legal obligation, namely tax law in relation to providing evidence of my business income. The data I receive on customers includes names, addresses and e-mail addresses, but I never receive payment or banking details. This data comes to me via Etsy and PayPal who have been authorized by customers to pass me the information necessary to fulfil an order. These organizations have their own privacy notices with which you should familiarize yourself. I also receive personal data directly from some customers who e-mail me to discuss or place an order. I retain this data on customers in the form of e-mails from Etsy, PayPal or the individual concerned for the length of time required by the UK tax authorities (5 years after the 31 January submission deadline of the relevant tax year). If any other scenario were to arise in the future which required the use or retention of your personal data, I would always obtain your full, informed consent in advance of proceeding. I never have and never would use the e-mail addresses supplied by customers for any other purpose, such as marketing e-mails. The e-mails described above containing personal data are stored on the servers of my e-mail provider and on my business computer which is password protected and kept updated with the latest operating system and app updates. Fulfilling customer orders may also require personal data to be held in hard copy, in particular postal addresses on shipping manifests and proofs of posting from my shipping provider. These are kept in a lockable filing cabinet. I will never share your data with any other individual or organization. You have the right to receive a copy of the personal data I hold about you at any time. To request this, please use the contact details above. I may need to ask you for information to satisfy myself of your identity before releasing any information to you. I will reply to you as soon as possible and always within one month. You have the right to request the correction or erasure of the data I hold on you, but the right of erasure does not apply where I am retaining data to comply with a legal obligation (see “What data I collect and hold” above). I run Little Conkers in as professional way as possible and I always aim to comply with the spirit and ethics of the law as well as its letter. This means I have always treated your personal data with as much care as I would want my own personal data to be treated. I am glad the laws have been tightened up to prevent the abuse of people’s personal data by businesses and other organizations. So if you feel there is a problem with any of the above, it’s probably a genuine oversight on my part and I’d be glad to hear from you about it.